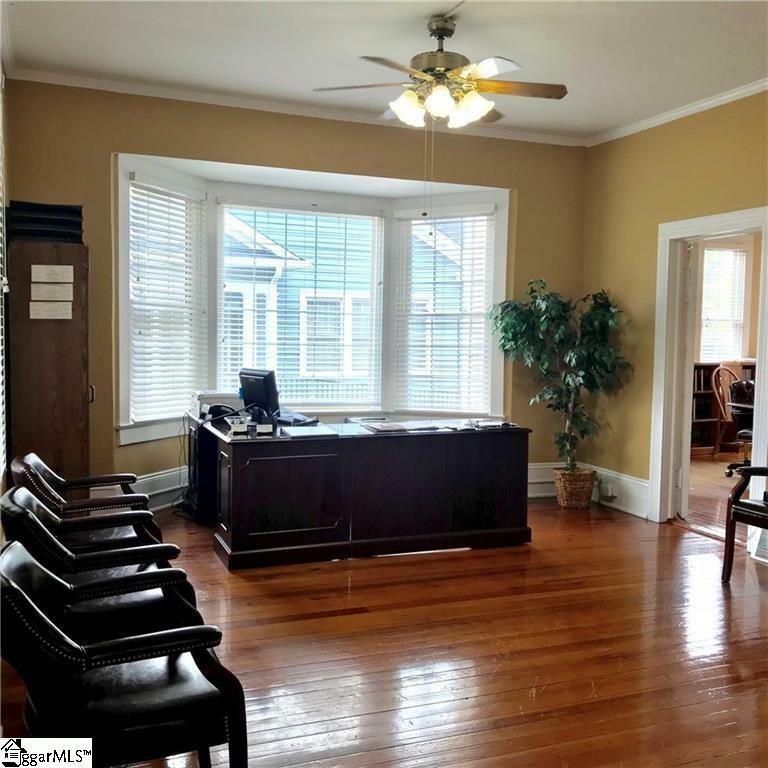 Attractive cape cod style office sits in the historic district of Anderson and offers a great location with only a 5 minute drive to Anderson Court House and a 5 minute walk to the Anderson County Library. 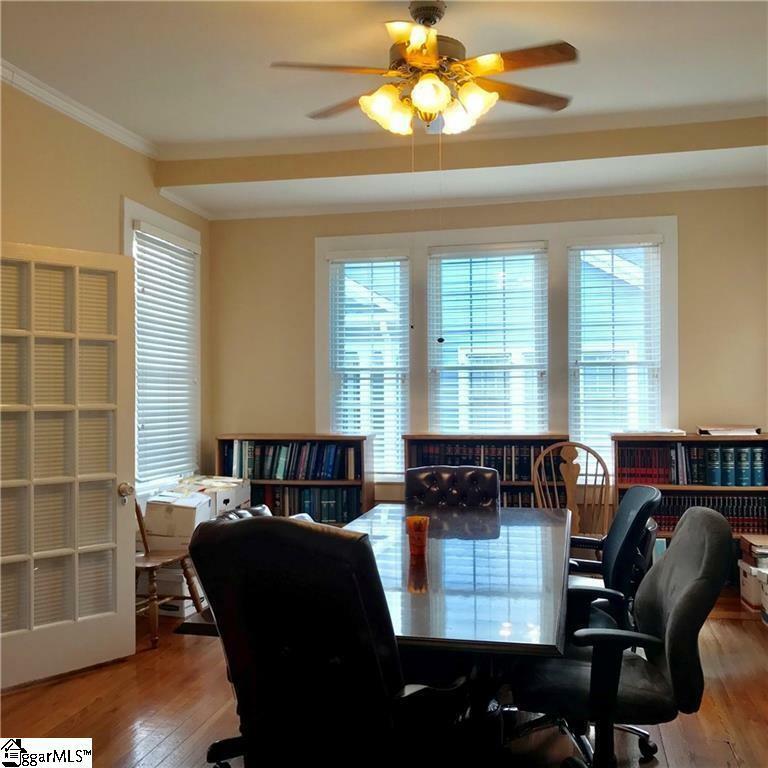 This two story office has beautiful hardwood floors and would easily accommodate three attorneys and three paralegals. Tons of natural light. Parking accommodations for six to seven autos. The building has a kitchen, two restrooms, a file room. 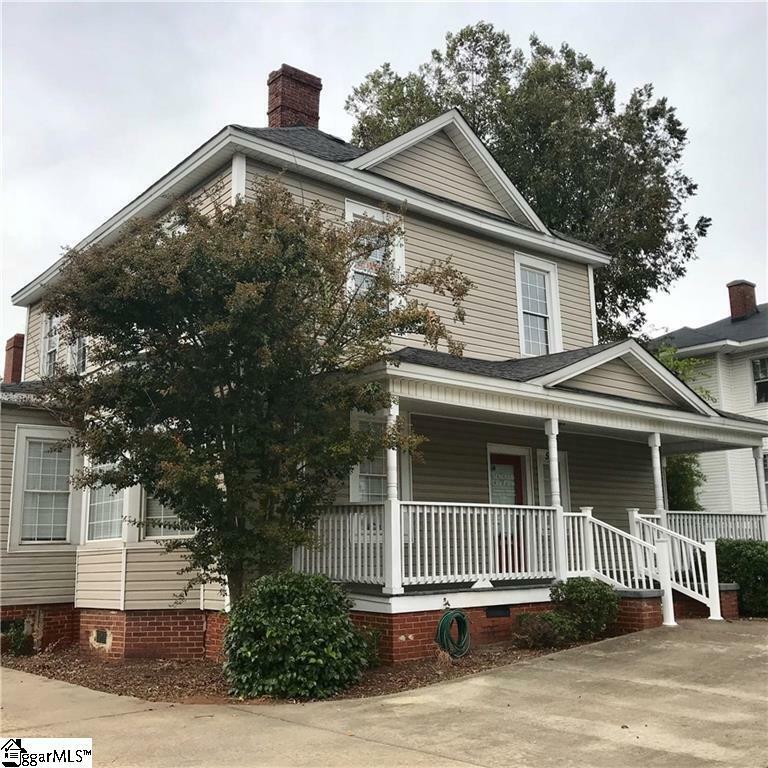 Beautiful, welcoming front porch! Phone system included. Wired for Wi-Fi, internet. Four fireplaces are very old and not functional. 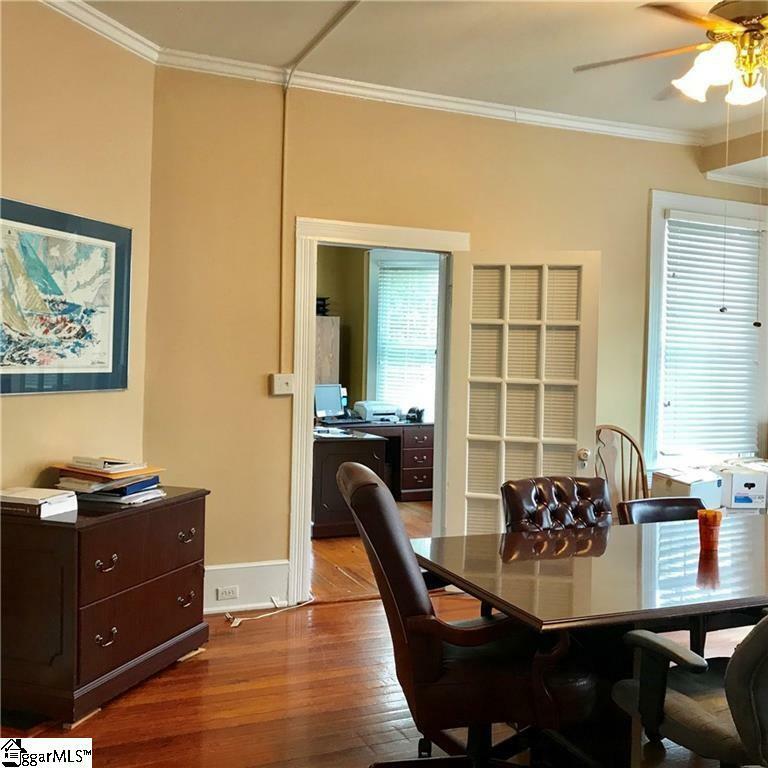 Listing provided courtesy of Carey Kennedy of Jackson Stanley Realtors Ander.